Good afternoon! 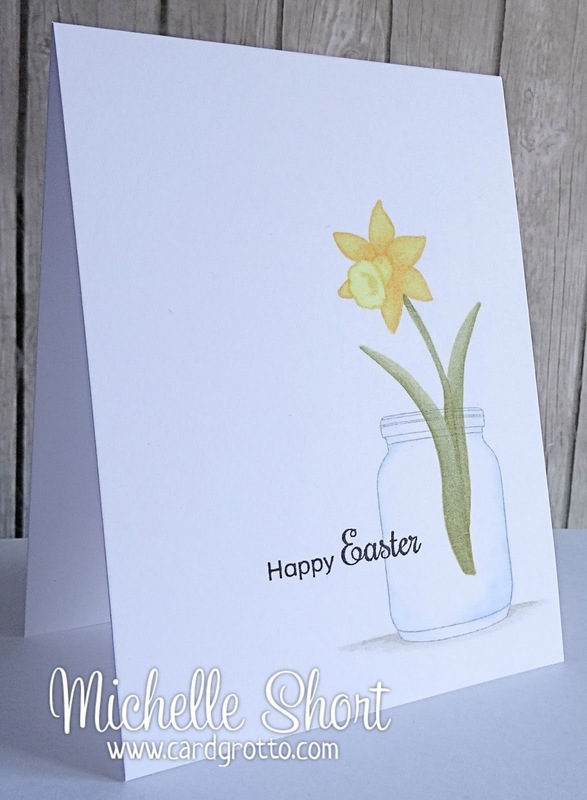 Today I have a card to share for the current challenge over at Less Is More. 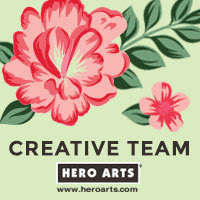 It is one layer week again and the theme is spring flowers. I knew straight away that a great stamp set for this challenge would be the Spring Blooms set from Clearly Besotted Stamps. I was inspired by these amazing cards by the even more amazing Stephanie. I have gone with the no line technique for the flowers and I think the image really suits it. WOW! I love this Michelle. Your colouring of the gorgeous daffodil is perfect as is your CAS. Ouch, I hope you got your toenail sorted. Enjoy the rest of the weekend. 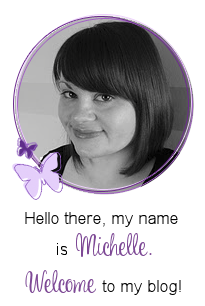 Michelle - this is stunning! I am a huge fan of your cards, But this has to be one of my new favorites. It's beautiful! What a beautiful flower to wake up to...this is so pretty. Michelle this is so pretty! 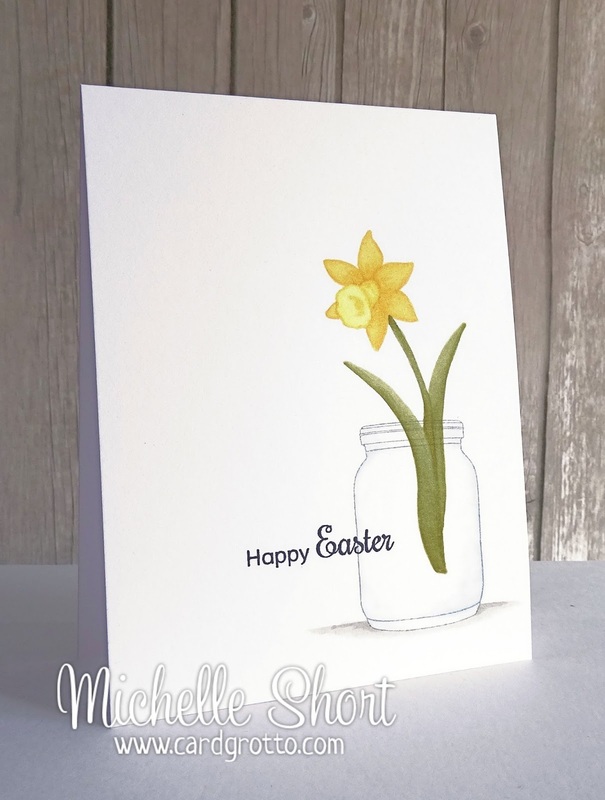 Another really gorgeous card, Michelle! 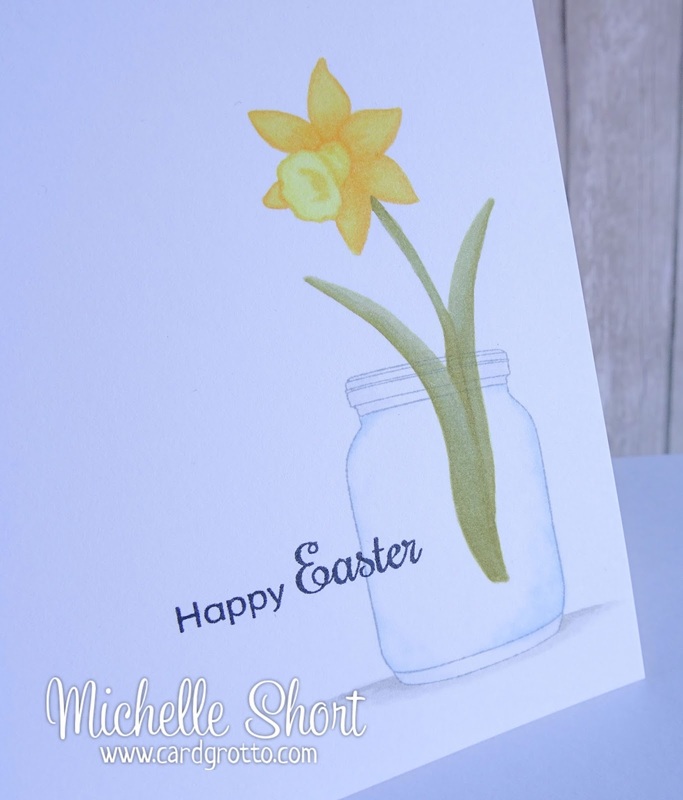 I love the single daffodil in the jar, and the colors are just beautiful! I hope you're feeling better by now, and that you do well on your school assignment!